Most analysts assume inflation is low because they watch government statistics that track prices across the economy. 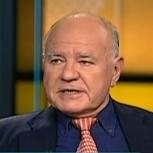 But Marc Faber is no ordinary analyst. Over the last several years, he vehemently opposed quantitative easing programs from the Federal Reserve which Wall Street officials welcomed with open arms. The Fed’s easy money policies were reactions to the stock market crash, a crisis management technique to stop asset prices from collapsing. Low interest rates were a central feature of the plan. Making it easier to borrow money was supposed to boost spending, but Faber argues it caused near-irreparable damage. He was typically contrarian when asked whether the Fed missed its chance to raise interest rates.